Star trails over observatory. 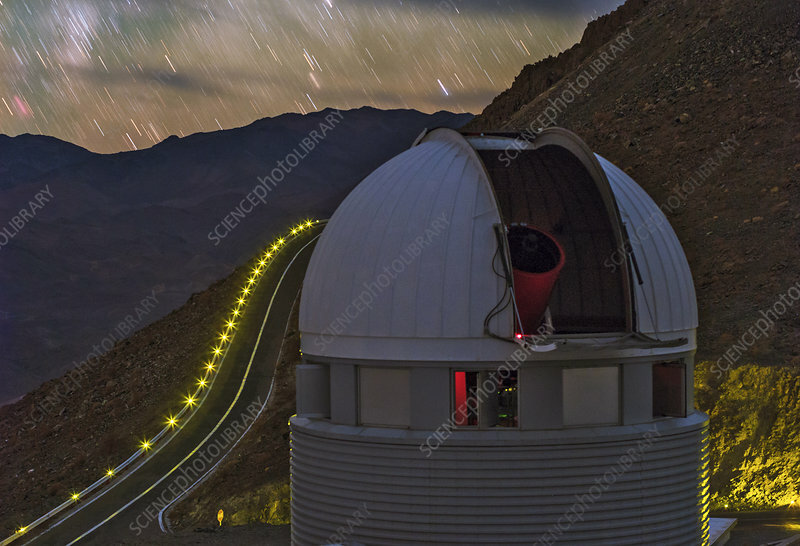 This is the Swiss 1.2-meter Leonhard Euler Telescope at La Silla Observatory in the southern Atacama Desert, Chile. La Silla is operated by the European Southern Observatory (ESO).